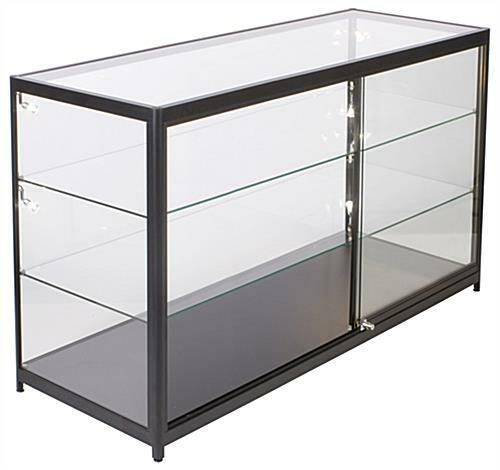 This retail display counter with LED lights is the perfect accessory for your new start up boutique. 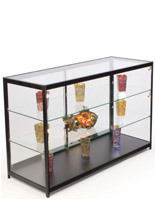 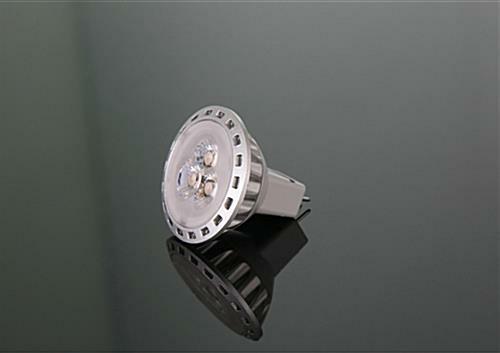 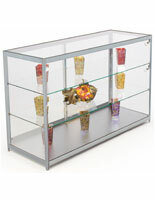 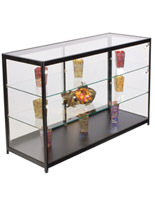 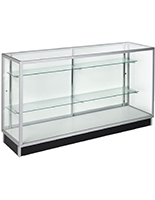 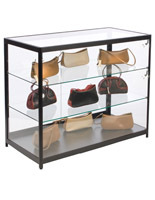 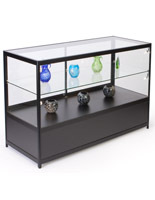 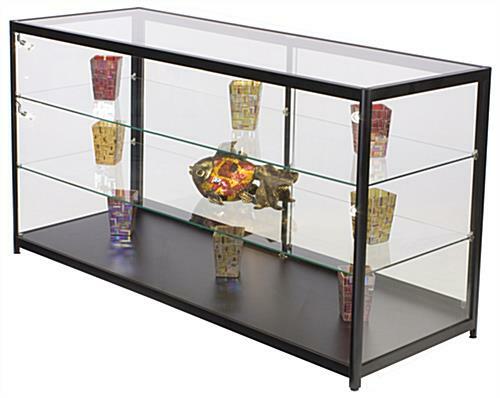 These store fixtures are ideal for showcasing jewelry, collectibles, or other high end merchandise that you would like to keep safe from public handling. 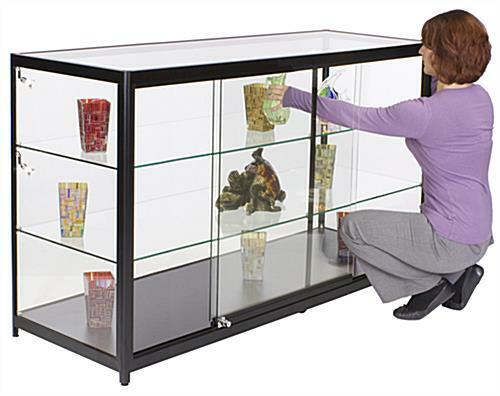 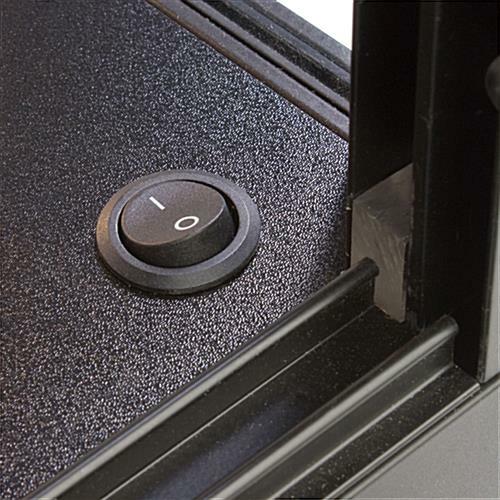 The see-through display counter is equipped with 2 adjustable tempered glass shelves so that you can add items of different sizes. 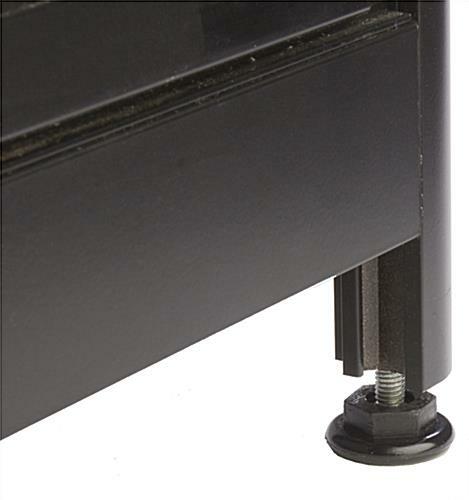 The cabinets also have foot levelers at the bottom of the aluminum base to adapt to uneven floors. 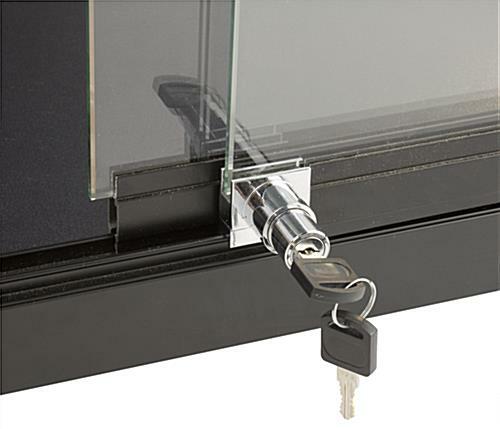 Your jewelry will be safe within the confines of the store fixture by utilizing the push-in lock on the back side of the display counter. 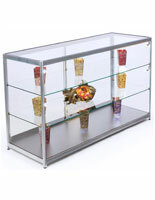 Combine this cabinet with others in the Essentials line to create a seamlessly designed configuration for your showroom.